There's some really big creatures out there in the fantasy world. Giant birds. Humongous reptiles. Gargantuan elementals. In Reach of Titan, you'll head out and do battle with these mammoth monstrosities. 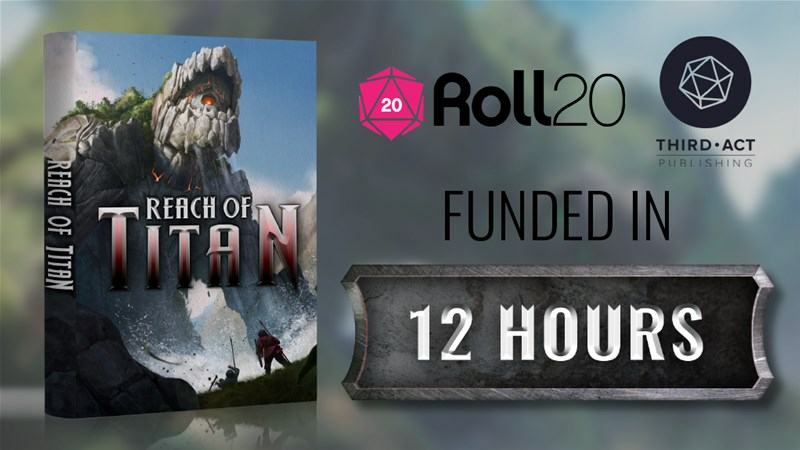 The fantasy RPG is up on Kickstarter now.